Why we are the lucky ones. I wouldn’t peg myself as particularly patriotic. In fact, I’m lazy as all get out in that department and I would sooner die than wear an Australian flag bikini. 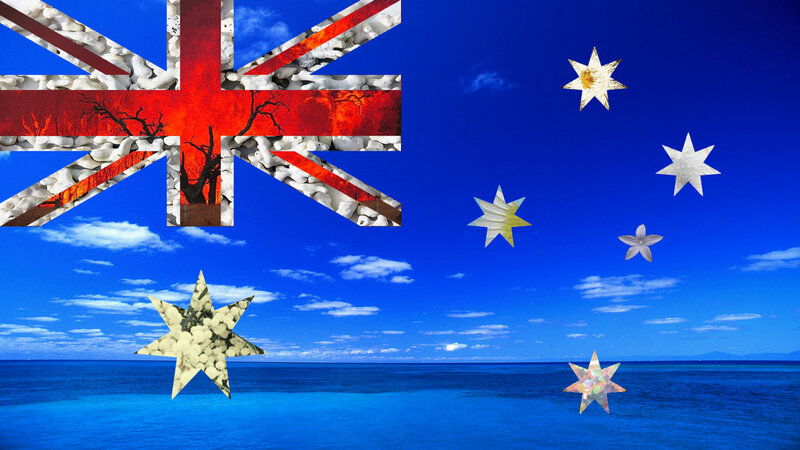 I’m not majorly into national sports, and frankly politics gives me diarrhoea, however I just thought I’d tap out a little quickie this Australia Day morning as my pavlova gently crisps in the oven and I’d tell you what it means to me to be an Australian. I look at the news in other countries and I see the devastation reeked by fire arms, war and religion. This is what makes me happy to live here. I can have an education, speak my mind and write freely about what ticks me off….even if it’s the people in power. Tony Abbott you’re a massive tool. My daughter has the same rights as my son and they both can walk the streets in relative safety. They have equal rights in schools, can drive cars and although the equality in the workplace has a little way to go if my daughter is tenacious and resolute she can achieve anything she wants. If there is an atrocious offence against a woman the community and the law band together and do everything in their power to make it right. This does not happen everywhere. My corner store is run by a gorgeous Lebanese family, unless I need tonic water instead of labne… then that store is run by Asians. Not sure what which flavour, but man, are they shiny happy people! My neighbours are Irish, Macedonian, American, Lebanese and good old Aussie stock. We all get on like neighbours should. A cup of sugar here, and a ladder there, a chat over the fence. We don’t fight about religion, because we’re busy talking about the weather, or recipes or naughty children. There was once an awkward argument over the fact that we have a lawn dude and we should mow our own lawn but that’s another story. I still borrowed his ladder next time I needed it and no grudges were held. Basically, they coined the phrase The Lucky Country because we are just that. You know I feel passionately about asylum seekers, and I know it’s not a black and white issue, but I will remember today as I stick sausages on rolls smothered tomato sauce while Triple J Hottest 100 counts down my favourite songs of the year, that no matter what crazy, big or scary stuff I have going on in my life I am lucky. I am lucky because I need not live in fear. I am lucky because I have my freedom. Housework. I hate the word. I recently read a book called “The International Bank of Bob” which is all about microlending to developing countries. It talked a ton about the birth lottery and made me think about just how fortunate I am to be born where and when and among whom I did. Granted I could’ve hit the lottery better by being born a white male but still… lol. Point is, I could’ve been in situations you described above and my life would be vastly different. Definitely grateful for my life.